ZTE recently showcased its latest flagship and 2nd smartphone in Grand S series, the Grand S II. It runs on Android 4.3 operating sytem which is primarily customized for voice recognition features. It has 5.5 inch Full HD 1080p resolution display. The ZTE GRAND S II gains the strength from 2.3GHz quad core Snapdragon 800 processor paired with 2GB of RAM. It has 16GB of Internal memory and further expandability via micro SD card. It packs with a13MP rear shooter and a 2MP camera. It is capable of recording Full HD 1080p videos. It houses 3000mAh battery, which should be good enough for normal usage. It would compete with Gionee Elife E7, LG G2 and Google Nexus 5. 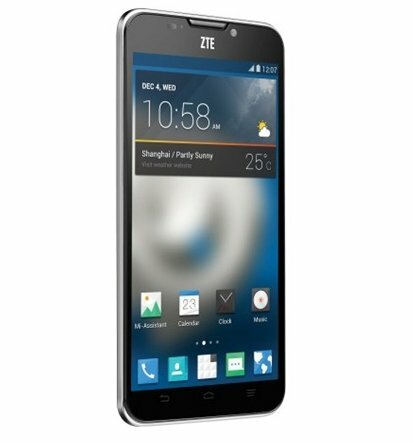 Zte has not announced the pricing of the Grand S II (two ) yet.